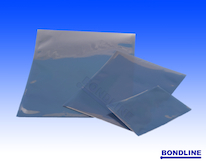 Transparent metalised shielding bags provide a complete static safe environment for the safe storage and transportation of static sensitive devices and printed circuit boards ensuring easy identification. LOC-TOP RESEALABLE- STANDARD SIZE(PACKS OF 100). 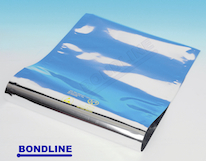 Strong, lightweight, ESD bags meet the requirements of EIA583, EIA541, EIA625 and MIL-B-81705C. Recommended temperature for welding 150-200 degrees C.
Other sizes may be available, please contact us. Humidity Indicators are used to determine if products have been exposed to moisture above recommended storage levels. ​These conform to IPC/JEDEC 033 std and being Cobalt Dichloride Free they meet ROHS, REACH and WEE directive regarding hazardous substances. 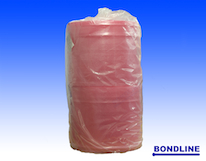 PINK OPEN TOP- STANDARD SIZES(PACKS OF 100). 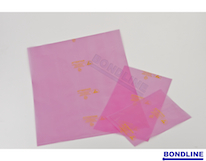 PINK LOC-TOP RESEALABLE- STANDARD SIZE (WITH WRITE ON PANELS) (PACKS OF 100). High density component insertion foam. Meets TS10218. (Non-corrosive). (To avoid damage/crushing, 1 square metre is supplied in 4 pieces, each is 0.5 metre square). BHD6 1 metre x 1 metre x 6mm. 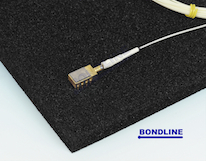 BHD10 1 metre x 1 metre x 10mm. Anti-static (low charging) bubble wrap can be supplied in roll form or made up into bags of many different sizes. ASBW One roll. 1500mm wide x 10 metres long. ASBW2 Slit two rolls. 750mm wide x 10 metres long. ASBW3 Slit three rolls. 500mm wide x 10 metres long. Foam can be supplied in any size to suit numerous packaging requirements. Foam can easily be shaped or stamped to accommodate the most demanding criteria. Meets TS10218. (Non-corrosive). BLD6 1 metre x 1 metre x 6mm. BLD10 1 metre x 1 metre x 10mm. BLD3200 255 x 155 x 10mm. BLD4300 355 x 255 x 10mm. BLD6400 555 x 355 x 10mm. BLD8600 755 x 555 x 10mm.